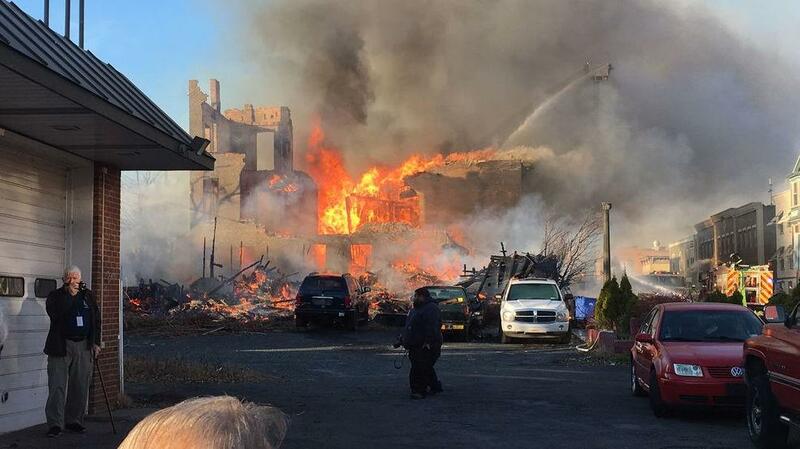 COHOES, N.Y. -- An inferno that destroyed or damaged nearly two dozen buildings in a city in upstate New York was sparked by an amateur bladesmith who apparently was trying to imitate something he saw on TV, officials said. According to CBS affiliate WRGB, Morse said there were some minor injuries, saying that the fire "breaks his heart." A firefighter was taken to a hospital with unspecified injuries.